heart attacks, heart failure, strokes, and kidney failure. Until today, physicians did not have an optimal goal for patients with high blood pressure. New information released from the Sprint study was reported by officials from the National Heart, Lung and Blood Institute. A paper with all the data will be published in a few months. The Sprint study examined nearly 10,000 men and women, ages 50 and older, who were at risk for heart and kidney disease. Twenty-eight percent of the participants were over the age of 75. Officials from the National Heart, Lung and Blood Institute announced they ended the study a year before the planned conclusion because of the potentially lifesaving results. This is extremely important information because high blood pressure is so prevalent. One in three people (79 million adults in the US), have high blood pressure and half of those being treated have systolic pressures over 140. About two years ago, a panel of experts at the National Heart, Lung and Blood Institute panel recommended a systolic goal of 140 because there was no convincing data to show lower was better, now we have that data. There have been improvements over the past few years with healthier lifestyles, more exercise and lowering abnormal lipid levels, but cardiovascular disease remains the leading cause of death. 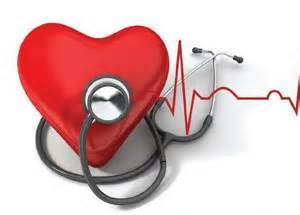 Uncontrolled high blood pressure contributes to heart disease in addition to the other disorders noted above. It is important to monitor your blood pressure and take control of your health. If your blood pressure is consistently above 120 systolic (the upper reading), see your healthcare provider for assistance in lowering your blood pressure to 120 or below. This entry was posted in Health Updates, Heart Health, High Blood Pressure, Kidney Failure, Stroke and tagged Monitor your blood pressure on September 12, 2015 by lipsticklogic.